My Kitchen Potholder and Giveaway! Hello there We All Sew readers! My name is Minki Kim, and I am a blogger at Minki’s Work Table. I also design fabric for Riley Blake Designs and I have my own line of sewing patterns. 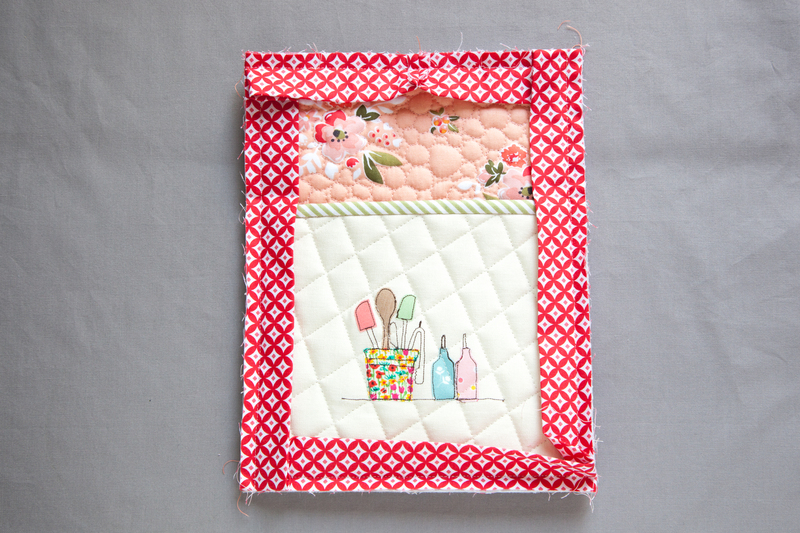 I am excited to be with you today sharing a tutorial for this My Kitchen Potholder , using a motif from my latest book Diary In Stitches. 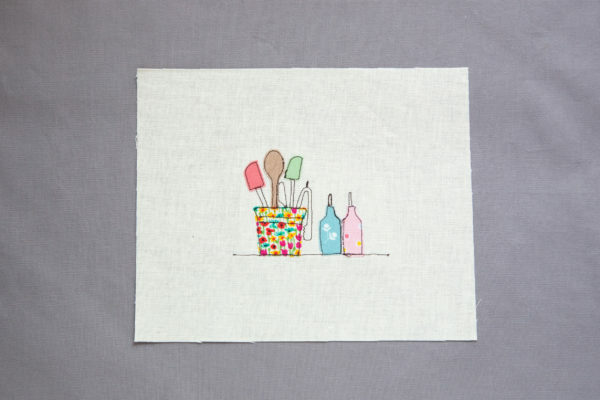 I would like to show you how to create your very own one of a kind potholder by using this kitchen scene I stitched on linen. Can you believe that I don’t have any handmade potholers left, even though I have made a countless amount of them? They live in my friends’ and my kids’ teacher’s home now. I have a very good feeling that these new set of potholders will find new home soon. 🙂 Well, that’s the charm of being a maker, right? Dimentions are written width x height throughout. Seam allowances are 1/4” unless otherwise noted. 1. 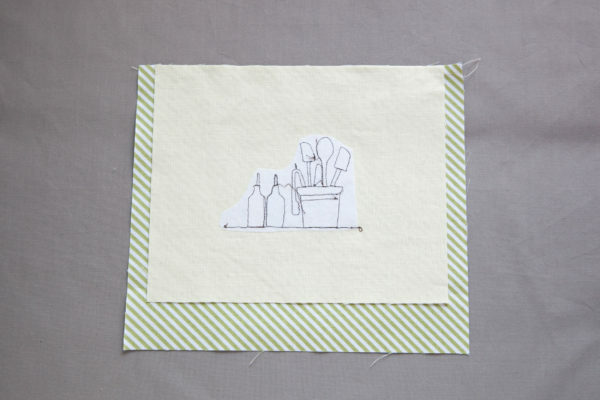 Trace My Kitchen motif on the fusible web and fuse on the chosen fabric scraps. Cut out said elements and fuse on linen background with iron. Place the pattern under the linen as a guide. Trace the remaining designs using a temporary marking pen. Set your sewing machine with a short stitch length and dark color thread. 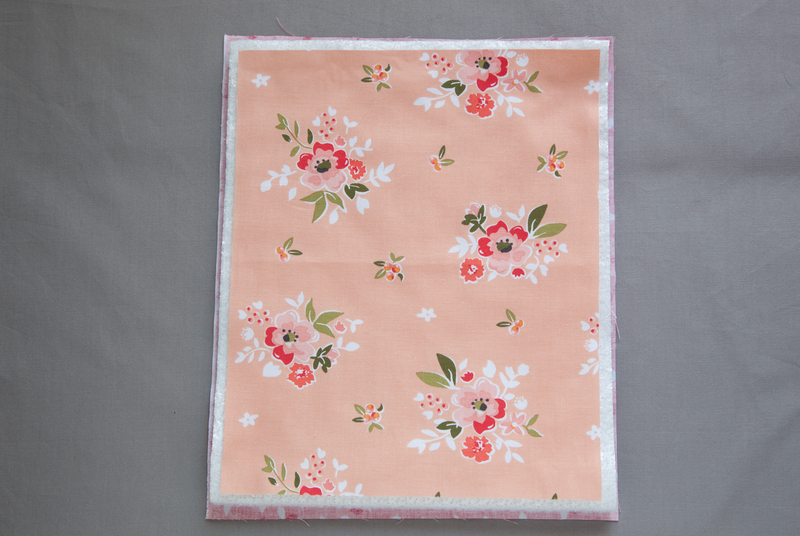 Place a piece of interfacing under the design and stitch the design. Check my video tutorial here. 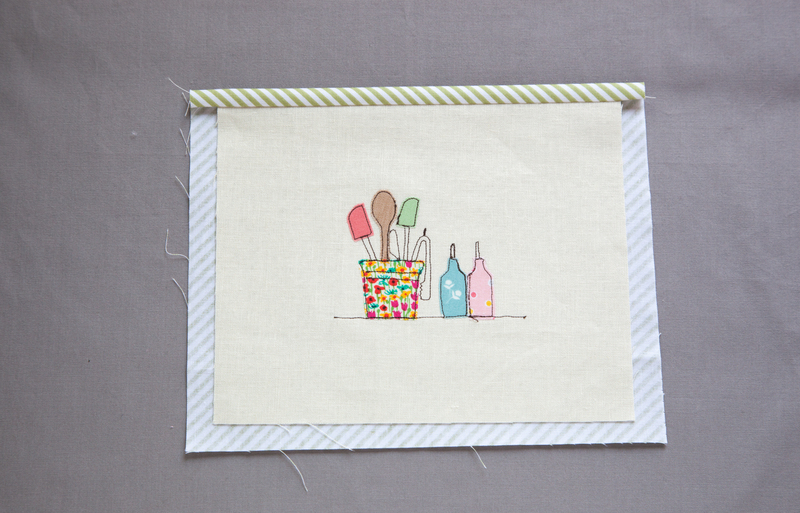 Also check my previous video tutorial Embellishing with Free-motion and Applique here. 2. With the front sides facing each other, align the lined at the center top of the pocket lining. The lining will be larger than the linen. Stitch across the top edge. 3. Press the seam toward the lining. Fold the lining over the linen to cover the seam allowance. Press. 4. Sandwich 2 layers of 8 1/2” x 7” insulated bating between the linen and lining. 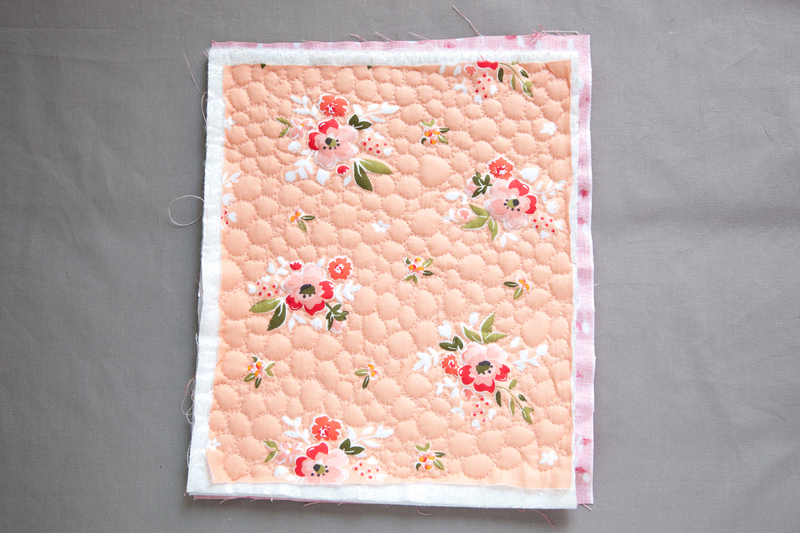 Pin in place and quilt as desired. I sew criss-cross lines 1” apart. Set aside. 6. Quilt as desire. I freemotion quilted using stitch regulator. Find more Stitch Regulator Tips here. 7. Trim the potholder base to 7 3/4” x 10” and potholder pocket to 7 3/4” x 6”. Pin the pocket to potholder base aligning bottom edges. Pin or stitch to secure. 8. Sew the binding to the right side of the potholder, folding a miter at each corner. Check the binding tutorial here. 9. Optional: I sew zigzag stitches on pocket seams. 10. Fold the binding over to the back of the potholder and then hand stitch or machine stitch in place. Attach a grommet for hanging (optional). Now your My Kitchen illustrated potholder is finished!! 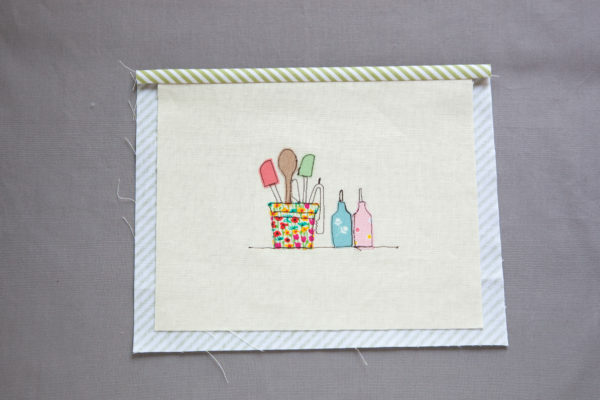 I hope you enjoyed my thread sketching potholder project. The giveaway is open to all WeAllSew readers. One comment per fan. Comment must be submitted to the WeAllSew.com blog by August 28, 11.59 p.m. Central Time. Winner will be chosen randomly. Winner will be notified by email and will have 48 hours to contact to claim the prize. Good luck! My favorite book was Diane Leone’s The Sampler Quilt book from when I first began quilting and taught from this book for years. I also love the Baltimore Album books, by Elly Sienkiewicz, and have always wanted to make some. One of my favorite books is Point Well Taken (Guide to success with needles & threads). 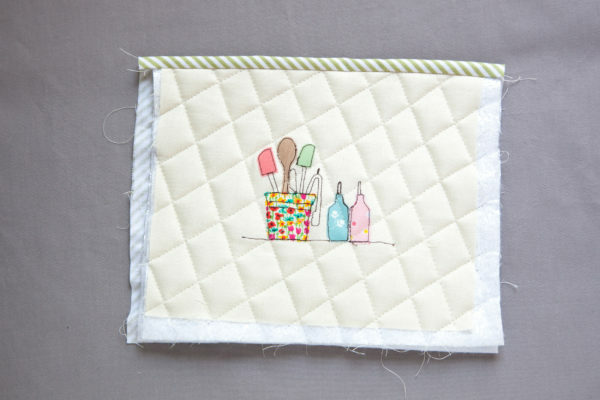 Thanks for the potholder tutorial and a chance to win! My favorite sewing book is “Intentional Piecing” by Amy Friend. Thank you! Gosh, I’m not sure it depends on what I’m sewing at the time. I’ve used Bethany Reynolds Stack n Wack a few times especially for kids quilts. My favorite sewing book is “One-Yard Wonders,” which includes 101 sewing projects, by Rebecca Yaker and Patricia Hoskins. I’m always looking for projects that require small amounts of fabric, so that I can use up my stash. Love your designs for the potholders, need to replace a few of mine. I began quilting way back when rotary cutters were just beginning to make an appearance and the first class I took was all by hand. Living in an area with few resources Quilter’s Complete Guide by Liz Porter and Marianne Fons was my go for how to information. Since then the library of books, techniques, historical has increased as my knowledge and skills have grown. My favorite is the Art of Classic Quiltmaking by Harriet Hargrave and Sharon Craig. But I still have a place in my heart for Georgia Bonsteel’s Lap Quilting. I really love Simply Retro by Camille Roskelley. But I adore your patterns and would love to win this!!! I’ve made so many pincushions using your tiny scissors pattern. Thanks for your amazing work and inspiration. Your books are my favorites now. I love them. I love these potholders!!! I don’t have a favorite book for sewing. 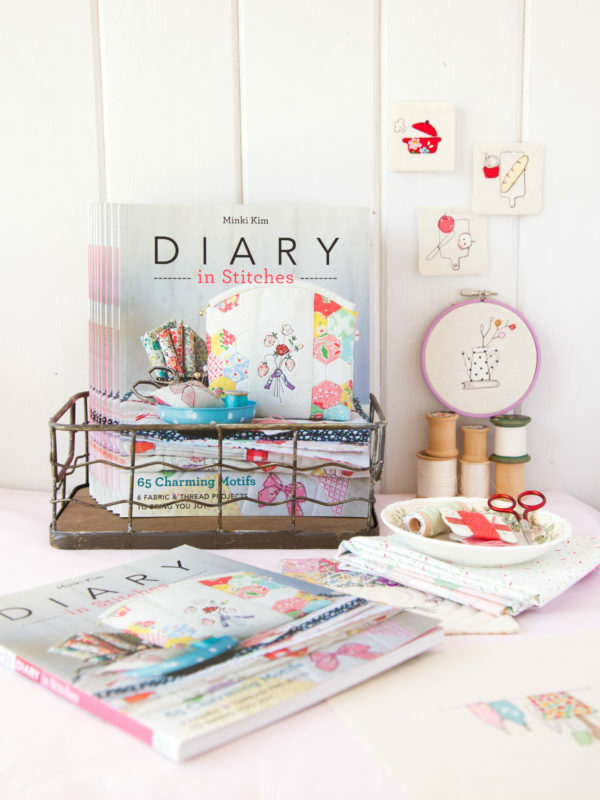 But any embroidery book is usually high on my list of wants! I love quilting and Japanese patchwork that has accents of embroidery! Gail Pan designs are high on my list also! 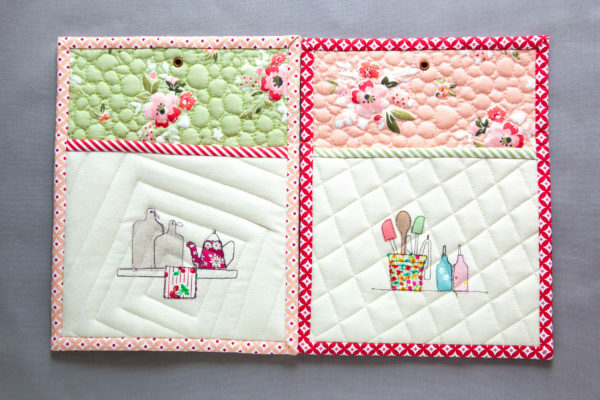 My favorite is The Quilt Block Cookbook by Amy Gibson. It offers a great variety of quilt blocks in a recipe format! Love it! One of my favorite book is Country Threads goes to Charm School by Mary Etherington and Connie Tesene. All projects are made with 5” squares. Have made some really cute gifts from this book. Had to laugh when I read the comment above because The Sampler Quilt book was also my first quilting book! I love my mom’s very old Complete Guide of Sewing. Adorable potholders! Can’t wait to make some! My newest and favorite book is Sewing Illustration. So many fun projects. My favourite book so far is sewing illustrated by Minki Kim. I love how the technique is explained so well and the illustrations are simply beautiful. I recommend it to other people all of the time! My favorite go to book is Complete Guide to Quilting by Better Homes and Gargen. I have used this book over and over throughout the years ! The potholders are so very feminine and would make some wonderful gifts ! Thank you! Quilts, quilts, quilts by Diana McClun. The book I keep going back to through the years. 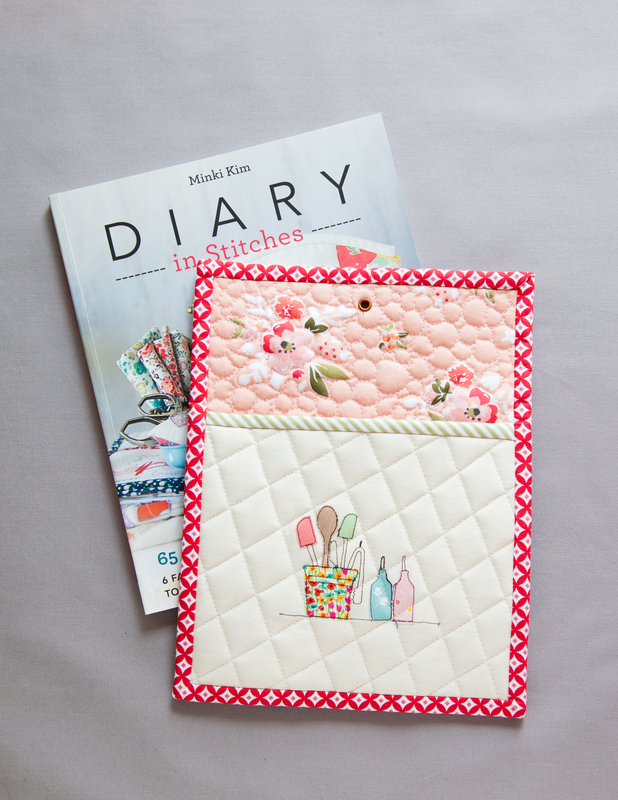 The patterns are great and the back of the book has the clear steps to making a quilt. “Patches Of Blue”! Thanks for sharing a neat giveaway! This is just delightful! Thanks for the great tutorial and the chance to win the book! Right now my go-to books are from Angela Walters, as I try to learn machine quilting! Thank you for the tutorial. I don’t really have a specific sewing book—I love Martha Pullen’s books 🙂 and pretty much any embroidery book. i love all my sewing and quilting books! I think my favorite is probably Glorious Quilts by Kaffe Fasset, I just sit and look at it like I used to the Sears Christmas catalog as a child! I even had the opportunity to get him to autograph it, which was very exciting! Your pot holders are adorable! I don’t really have a favorite sewing book but I guess I would say Eleanor Burns Double Irish Chain only because I’ve made a few of them. Thanks for a chance to win. I have many favorite books and if I tried to name just one then the others would feel abandoned. I have so many sewing and quilting books, each one is my favorite on a certain day. Depends on my mood! I love all sewing and quilting. This one could be my new favorite though! I would love to make some potholders. I copy a lot off we all sew and learn so much from their help. We work is great. As far as a book it is hard to tell. The people at my bernina shop helps me so much . Can I use them as my Book? Brought my first sewing machine from them and been to so many classes so helpful hands on learning. That Robin,s shoppe in Trussville AL. I love any book about long arm quilting by Angela Walters. She gives me confidence to try new things. I have several sewing books. I don’t really have a favorite. I do really like Threads Magazine. 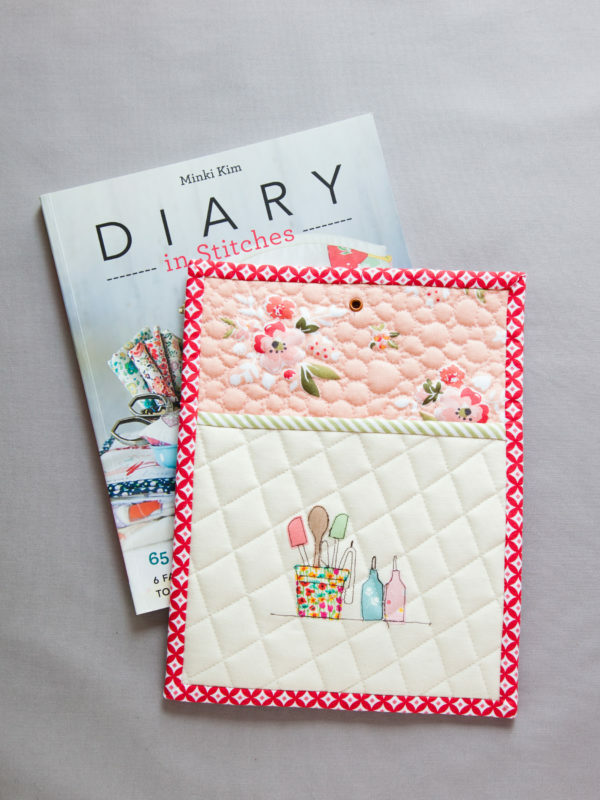 I find so much of my ides and information on Facebook and Pinterest, like your potholders! They are adorable!! I can’t say that I have a favorite sewing book! I love to look up and research all sorts of things! Any and all books that address my current sewing project and gives me new tips and tricks for ease and attractiveness of my project is my momentary favorite. Every book has something to offer both the newbie and the experienced quilter, from techniques to inspiration. 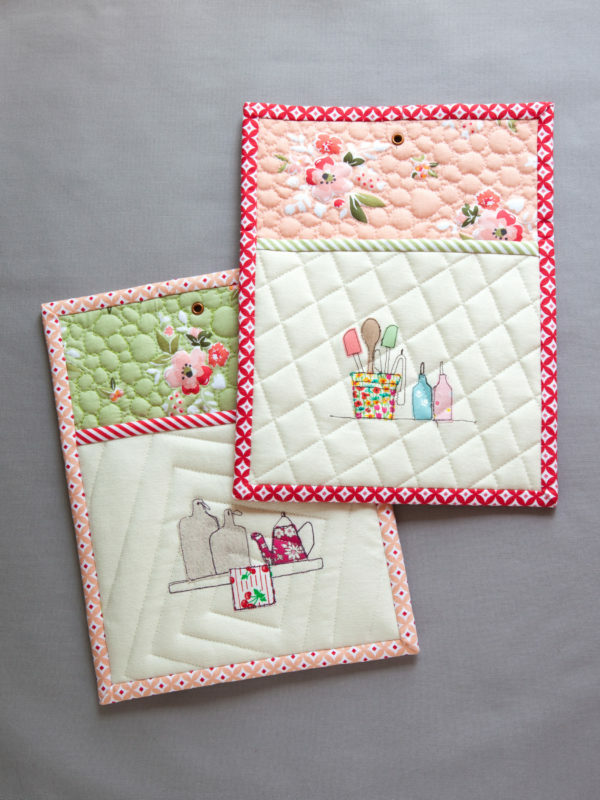 Last Minute Patchwork + Quilted Gifts by Joelle Hoverson. Thank you. Thanks for this pattern. I hope to make some soon. I love your books! The only books I’ve used for sewing are by Singer…Sewing for the Home is my favorite. My current favorite book is Growing up Modern by Allison Harris. 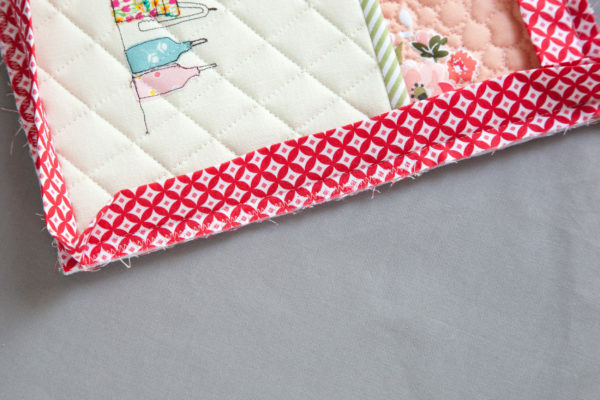 Her quilts are quick and easy for busy mom’s. I like fast projects that’s the kids can help with. Love the pattern and tutorial! I only have a couple of very dated sewing books and usually end up doing endless searches for projects I like. Your ebook would be awesome! I’m a newbie so I haven’t purchased any books yet, but I absolutely love the WeAllSew.com articles! I can’t wait to try this, thank you! I honestly don’t have a favorite book yet – am self teaching to sew – which means I am very much a beginner. So far I have just been making my own patterns. Don’t really have many books yet. This would be sew sweet. Thanks. My favorite sewing book currently is Gertie’s Ultimate Dress Book. My small projects are usually done in a class setting. I have a very small library of quilting and sewing books… impossible to choose a favourite because each one has a few go to projects!! Thanks for sharing your pattern, another great gift idea! I have been seeking a simple, yet attractive potholder pattern to make for our quilt guild boutique that provided a fast and easy project. I have finally found it. Thank you so much for posting the pattern. I’m looking forward to making many more! My favorite book is Zakka Style lord the amount of pincushions I have made from that. I don’t have any sewing specific books, but rely on Threads magazine for instruction and great ideas for things other than patchwork. The internet is also a great resource. I need new potholders in our new home! I had to think back to the book that brings me most joy when reading about sewing. I LOVE “Sewing Happiness by Sanae Ishida”. This book does it all for you; great story line, reason to sew & heal yourself, sewing for others, having a passion and following your passion. I highly recommend reading it & using it as a reference when finished reading it, but don’t forget to try out some of the patterns she has in the book -most are able to do within a weekend and you will love that you did. “Sewing Happiness published in April 2016 by Sasquatch Books”. Avail in e format as well. Your potholders are so pretty, a wonderful gift suggestion. 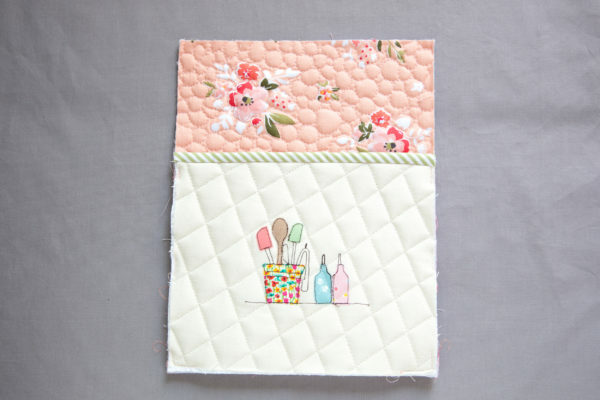 I like books about using scraps, my favorite now is Judy Gauthier’s Quilts For Scrap Lovers. What a cute pattern! My favorite book is Latte Quilt–because it inspired me to get my first embroidery machine and to start quilting. Thank you sharing your designs and pattern. I look forward to trying it. One of my favorite sewing books through the years has been Fine Machine Sewing by Carol Ahles. I enjoy learning and love to try new techniques . I really like these pot holders unique and would make great gifts. I have many quilt books, but find myself reading Angela Walters and Lori Kennedy’s books. I am trying to learn free motion quilting. Love your potholders! Oh how exciting to do one of these pot holders and learn my machine as well! I have an extensive library of sewing and other craft books, some I’ve kept from the ’50s. They are all my favorites. They are all well read and a great resource. Thanks for the potholder idea. I will make some to have and some to share. I like the Underground railroad quilt book by Eleanor Burns because of the many different blocks in it. It has some easy and some a little more challenging. However I do have a collection of a variety of books, because each one has something different. It is really difficult toj pick a favorite, however the one I’m using the most right now is the book that came with the new sewing machine I just got!! I have many sewing books (quilting, art quilting, serging. clothes sewing) so it is difficult to pick a favorite, but I’d say anything from the old Singer series is always very helpful. What cute ideas for gifts. I really have no totally favorite book but like books with cute hand embroidery. I have so many books that I enjoy and use it’s hard to pick just one! My original book was the Reader’s Digest Complete Sewing Book and also their Complete Needlework Book. To this day, if there is a general sewing technique to look up or a needlework stitch I can’t remember I look there 1st. I have many quilting and sewing books so it is hard to pick a favorite. I would have to say my favorite is ‘The Bag Making Bible’ by Lisa Lam. Such a good book! What cute potholders! Thank you for the tutorial! I love my clothing sewing book – Pattern Fitting w/ Confidence by Nancy Zieman! thank you! I do not have a favorite book, since I am new to sewing. I would like to make this my favorite book, though. Thanks for this pattern and chance to enter the drawing. I do not have a favorite, since I am new to sewing. I would love to make this my favorite, though. Thanks for this wonderful pattern and chance to enter the drawing. I love your cute pot holder. I don’t have a favorite sewing book, but if I did, it would have to be my home economy school book. It was the best reference book I have seen. My favorite books these days are the ones with longarming designs! Years ago when I was learning to sew I was getting Singer Sewing books in the mail every month. I learned a lot from them and still refer to them every now and then. Love the new book, Merry Makers from Moda featuring lots of quilts & projects ! My favorite book is the “Red and White Quilts”book I love red and white quilts. They make my eyes happy.